Unable to create snapshot (Microsoft CSV Shadow Copy Provider) (mode: Crash consistent). Details: Failed to prepare guests for volume snapshot. Processing servername Error: Failed to prepare guests for volume snapshot. 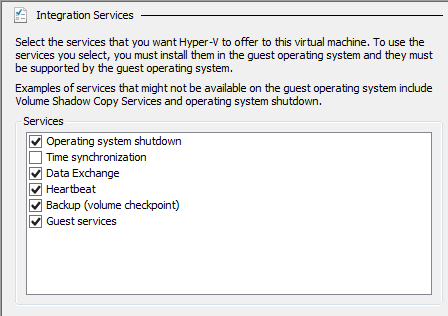 The fix was to set all of the services to manual (triggered start) & reboot the VM. Once this was completed backup ran successfully! Unable to release guest. Error: Unfreeze error: [Backup job failed. Cannot create a shadow copy of the volumes containing writer’s data. Running VSSAdmin List Writers showed in fact that the NTDS Writer was in an Error state with  Failed, “Non-retryable error”. First re-run the ShadowProtect backup which restored the NTDS Writer to a Ready State. Backup this registry key, then delete it. 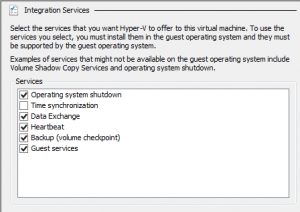 Open Windows services and restart the “Volume Shadow Copy” service. It may be stopped to begin with, that’s okay. Reboot the server when next possible. Re-run Veeam backup and all should be successful!